Announcement Welcome to Perry Home Naturals where you'll find expertly handcrafted & designed Maine balsam fir pillows, organic lavender sachets, room & linen sprays, and aromatherapy eye pillows. ->An Official: Maine Made: America's Best Company and member of United Maine Craftsmen. Welcome to Perry Home Naturals where you'll find expertly handcrafted & designed Maine balsam fir pillows, organic lavender sachets, room & linen sprays, and aromatherapy eye pillows. This was a stocking stuffer for my husband for his t-shirt drawer. It smells fabulous, both piney and sweet, and does the trick for his shirts. The little bear still makes him smile. Sooo pretty! Mom will love this as a gift. Thank you! Lovely soothing scent. Pretty design with black background. Happy repeat customer!! Great product and experience from Perry Home Naturals. Bought two balsam fir sachets for myself and one for my girlfriend. They're great in the car. Helps me calm down in terrible Boston traffic (serenity now!) and my girlfriend placed hers over the car vent so she gets a constant aroma. Excellent communication and fast fulfillment. Will return to PHN in the future. Thank you. We do custom work including wedding favors. Balsam fir is a timeless, comforting scent. Handcrafted, Fragrant Products and Gifts. Without a creative outlet, I am lost. My name is Kim Napolitano-Perry, and I am the owner, maker, and designer of Perry Home Naturals. I craft my products with so many things in mind but, first and foremost is a desire to make naturally derived, reusable, practical products. All of our products are made with the utmost attention to detail. I use top quality materials and never cut corners; from the fabrics to the organic herbs and oils down to the smallest details of my appliqués, I care about what I create. The blends I design are handcrafted in small batches to ensure that you always get top quality products. I've been working with herbs, essential oils, and scents for over 20 years. I am also proud to say that my business is an official Maine Made: America’s Best Company. I care about my customers and their well-being. I mean that too; in a world full of “hurry up and get it done now,” I feel as though a lot of the personal touch is absent from the world. When you shop with me, you get stellar customer service AND a great product. I treat others as I want to be treated--with kindness, empathy, and respect. I reside in Western Maine with my husband and my daughter. I believe that products made with love, from the heart, are indeed the best. I hope that a little of the Perry Family love comes through with everything that leaves the workshop. Happiness is contagious! My name is Kim and I live in South Paris, Maine. I have an adorable daughter and a very witty husband who teaches Chemistry at our local high school. I love to be creative and teach creativity. I probably drink too much coffee. The stitcher I work with has 20+ years of stitching experience in the industry. She helps me with stuffing and stitching my sachets closed. Welcome to Perry Home Naturals! All of my blends are handmade and designed and made with organic herbs and essential oils. 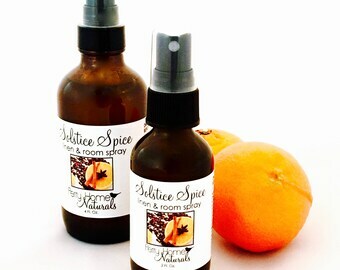 Some blends have fragrance oils added as well and each ingredient is listed. I use HIGH-quality materials for ALL of my products and NEVER cut corners. I take great pride in making sure that you receive only the finest quality product that I can possibly create. I create for you ONLY what I would give to my own family and myself. We take extra special care to make sure your purchase gets to you in excellent condition. However, if something goes wrong please let me know the EXACT nature of the problem. Generally we do not allow for refunds or exchanges but we are reasonable. On a related note, if you have a question about a scent you are not familiar with please contact me first before you buy. Some scents are much stronger than others. Thank you! All payments must be made via credit card or PayPal. No personal checks accepted. We reserve the right to cancel a transaction if payment does not go through. If you are interested in custom work, please be aware that payment is due BEFORE work begins. Thank you for understanding. (Maine state residents will be charged sales tax). We ship via USPS within 1-3 business days (M-F) of purchase. If you need something shipped priority (if it isn't already being shipped that way) or overnight, please convo me and I will get you a quote. Currently, I do not ship internationally. At this time we are no longer taking consignment accounts. If you are a reputable retailer, and are interested in wholesale with us, please send me an email via Etsy or to perryhomenaturals [!at] gmail.com.